Nicholas Spadaccini, 91, of Canton passed away peacefully on Thursday, July 5, 2018 at the Canton-Potsdam Hospital where he was in the company of his family. Nick was born February 25, 1927 in Ogdensburg, the son of the late Antonio and Anna (Autunna) Spadaccini. He graduated from DeKalb Schools and Canton ATI. He was drafted to the US ARMY in 1945 and served Germany being honorably discharged in 1947. On October 6, 1951, he was married to Gloria Shoulette at St. Mary’s Catholic Church in Canton. Nick worked for the US Postal Service for 33 years and was both a city and rural carrier. 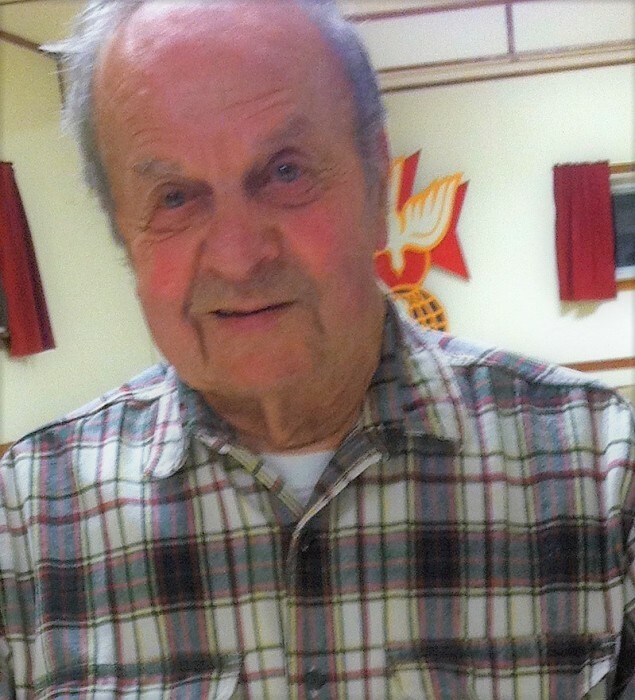 He is survived by his wife of 66 years, Gloria of Canton; two sons, Ron and Carol Spadaccini of Canton; Randy and Cheryl Spadaccini of Waddington; five grandchildren, three great-grandchildren and a fourth on the way. Also surviving are a brother, James Spadaccini of DeKalb; a sister, Mary Dawson of Rome, NY and nieces and nephews. Memories and condolences may be shared online at www.olearyfuneralservice.com. Arrangements for Nicholas Spadaccini are under the care of the O’Leary Funeral Service of Canton.